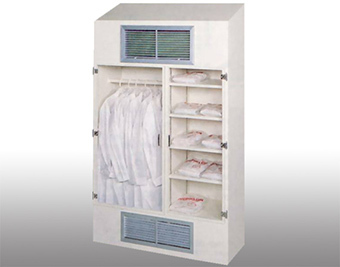 CleanZones, LLC offers our Garment Cabinets in different design configurations and materials of construction to meet your exact requirements. 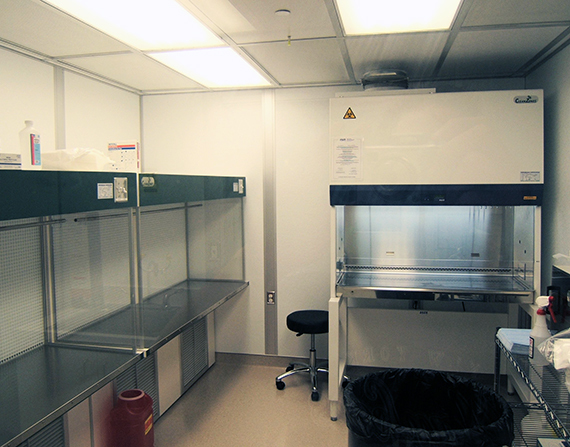 All of our Garment Cabinets feature sloped tops and clear acrylic self closing doors. 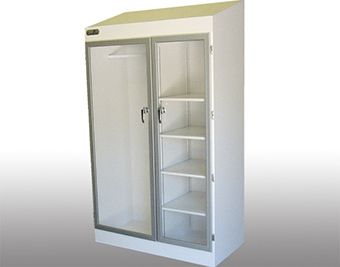 We offer Garment Cabinets with Hang Rod, Shelves, Filtered Hang Rod and Combination Filtered Hang Rod and Shelves Units. Choose the correct type for your application or call and speak to one of our experienced sales engineers for assistance. 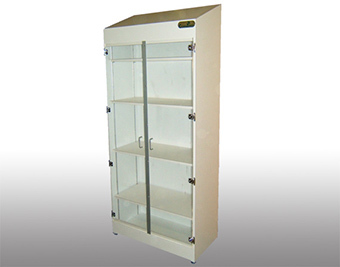 We offer the GS Series Garment Cabinet units that are designed to be used in an anteroom to store unopened garments, shoe covers, gloves caps and masks. 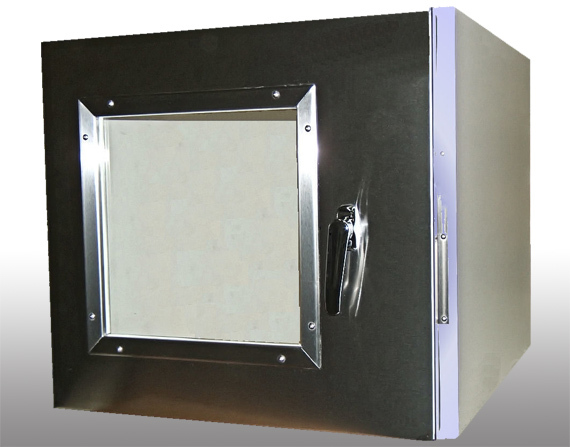 Special custom products are available without the custom cost for application specific projects. 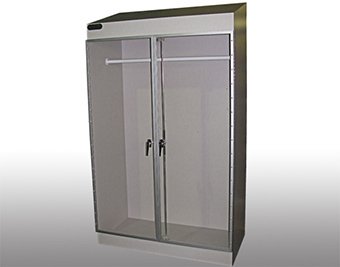 We offer the GH Series Garment Cabinet units that are designed to be used in an anteroom to store Garments after they have been worn. 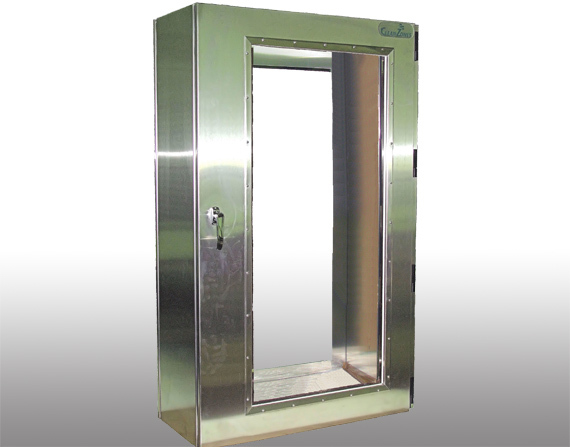 Special custom products are available without the custom cost for application specific projects. 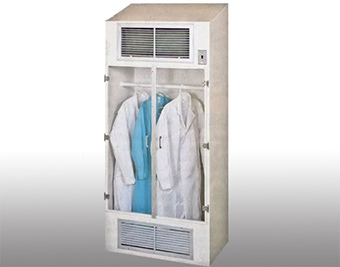 We offer the GC Series Garment Cabinet units that are designed to be used in an anteroom to store unopened garments, shoe covers, gloves caps and masks as well as opened garments after they have been worn. 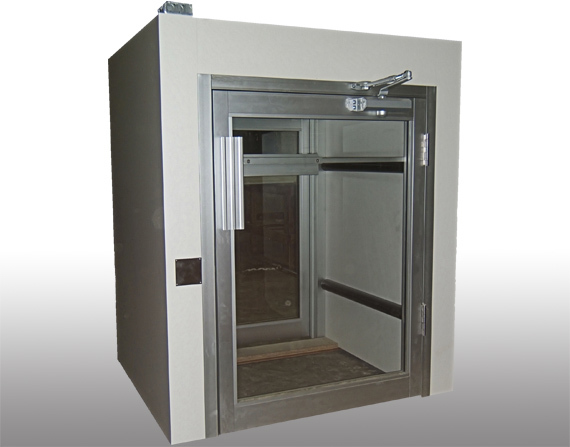 Special custom products are available without the custom cost for application specific projects.